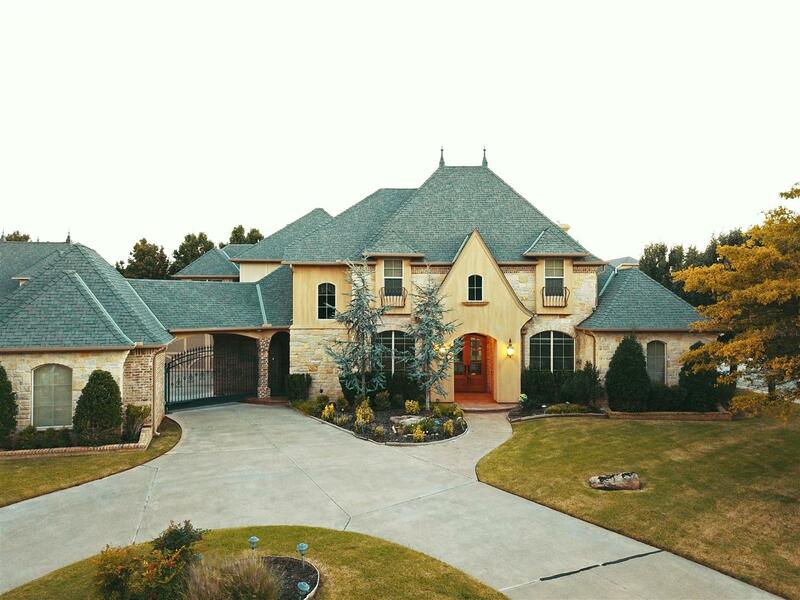 Luxurious curb appeal & phenomenal craftsmanship! Situated off the entry is the formal dining room & a study behind the beautiful French doors. Living room boasts an eye catching fireplace with built-ins, soaring ceilings, & 3 picturesque windows. This gourmet kitchen is a Chef's dream! It has high end appliances, island with prep sink, gas stove with pot filler, dbl ovens, breakfast bar, & plenty of storage space. Master Suite has a fireplace, back patio access, walk-in closet with built-ins & winter racks. En Suite Spa has dbl vanities, dressing table, jetted tub & separate shower. Lower level also includes 2nd bed with full bath & a laundry/mud room with full bath. Upstairs is complete with 2 bedrooms, full bath, bonus room/2nd living room, & a true media room that has a wet bar & projector. Enjoy your view from the private balcony! Large covered patio with ceiling fan has a separate area for an outdoor kitchen. It is cut out for a grill & plumbed with gas. 13 Mo HWA provided!